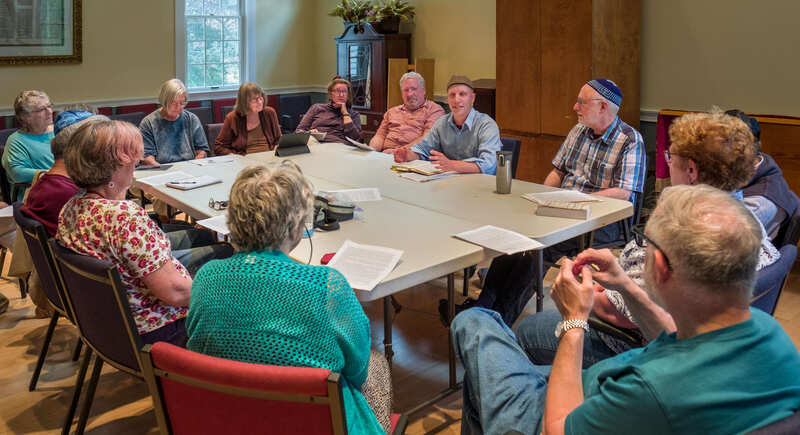 The Adult Education Committee at the JCA offers programming every spring and fall that reflects religious, secular, practical, and cultural aspects of Judaism. We are fortunate to have access to many fine scholars, artists, and musicians who enjoy teaching workshops, seminars and semester-long classes from within our community and beyond. We hope that you will find something that appeals to you in our programming this semester. Please see our latest program guide for the current schedule, class descriptions, information on our teachers, and more. We encourage you not to wait but to register now, especially for those programs that are limited in size, to ensure that you will have a space. And do let us know if you have any ideas for future programs. Adult Education programming at the JCA is self-sustaining. Donations above and beyond the requested amounts are a great help in providing quality programs for the future. Your participation is important to us, and no one will be denied access to programming because of financial need. If you wish to make your payment for classes online via PayPal or credit card just choose Adult Education Class from the menu of payment options.